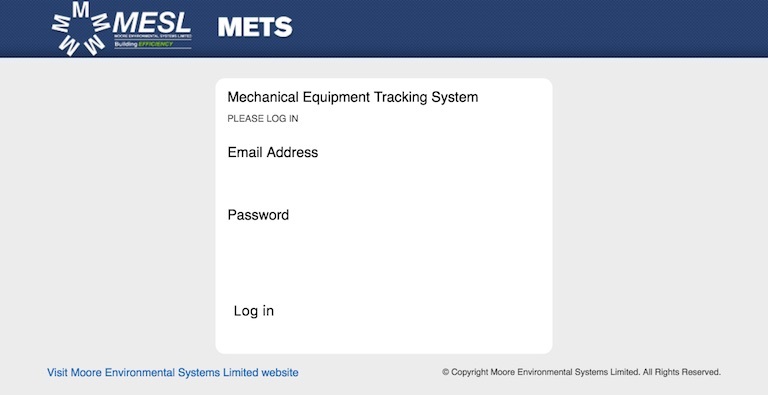 The Mechanical Equipment Tracking System (METS) is an innovative, custom designed, secure, web-based tool for Moore Environmental Systems Limited customers to track equipment maintenance and repair. Users can view locations where work is being performed, determine which technicians are performing the work, review equipment details including maintenance history, age, location, model/serial numbers, work order status, job costing, repairs required and recommended. Customers receive convenient and clear job reports by email! METS is powerful, effective and user friendly. The platform is easy to learn and the screens are intuitive with simple navigation throughout the site. HVAC equipment is an investment. Reducing downtime and the cost of expensive repairs is how Moore Environmental Systems Limited continues to build upon its reputation of reliability and efficiency. The Mechanical Equipment Tracking System is a sophisticated, powerful web application that gives customers easy access to our information on their equipment, jobs, and locations.